Transition hacks to make this process easier. Coming back to work after a vacation to a place near or far can leave you scatterbrained. 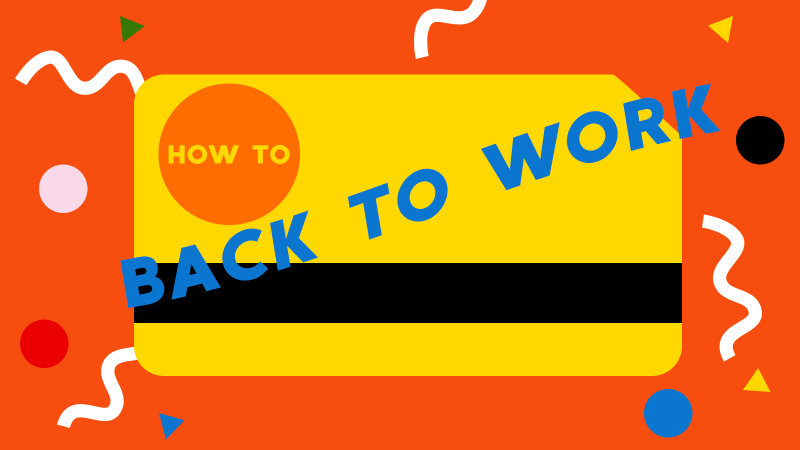 All of a sudden, you have to snap right back into work mode, and remember to do a bunch of things as you ease back into your regular routine. Here are five post-vacation transition hacks to make this process easier. Start thinking about what you want to wear to work while you’re knee-deep in laundry after your trip. That way, you can tell what you need to prepare and what’s ready to go ahead of time — not the morning you go back to the office. Packing your lunch the night before (if you bring it) and doing meal prep can also be a good way to make sure you have the energy you rely on to get the job done when you return. Check your fare cards: do you have enough money for your commute? When you’re on the other side of the state, country, or the world during vacation, the last thing you’re probably thinking about is your commute. That’s why it’s important to make sure you’re prepared for it when you get home — especially if you’re going to rush to work on the first day back. If you take the train or the bus, you’ll want to make sure you have enough money to get where you’re going. Leave extra time to load up your fare card(s) at the machine if you can’t do it online. This includes Slack and email. But while answering email on vacation wipes out your good memories, that doesn’t mean you have to wait until you walk into the office to log into your inbox again for the first time. In fact, that can be a pretty scary feeling. If you have a little bit of downtime when you get home, jump at the opportunity to get ahead before work so you’re as caught up as possible. Your manager won’t always have the time to get you completely up to speed when you get back, so fill in the gaps by asking your colleagues about what you missed — especially if they’re people you think you can trust. You might be able to rely on them for details, but if you have follow-up questions, be sure to confirm the answers with your manager. Also check to see what upcoming meetings you’ve been invited to, and which you missed while you were away. I repeat, DON’T SKIMP ON SLEEP! You’ll be really sorry that you did. This is especially important if you just returned from a trip to another time zone, and jet lag is gnawing at you every so often. So give your body the time it needs to adjust. Sleep as regularly as you can when you get home, and try not to stay up too late the night before heading back to work.